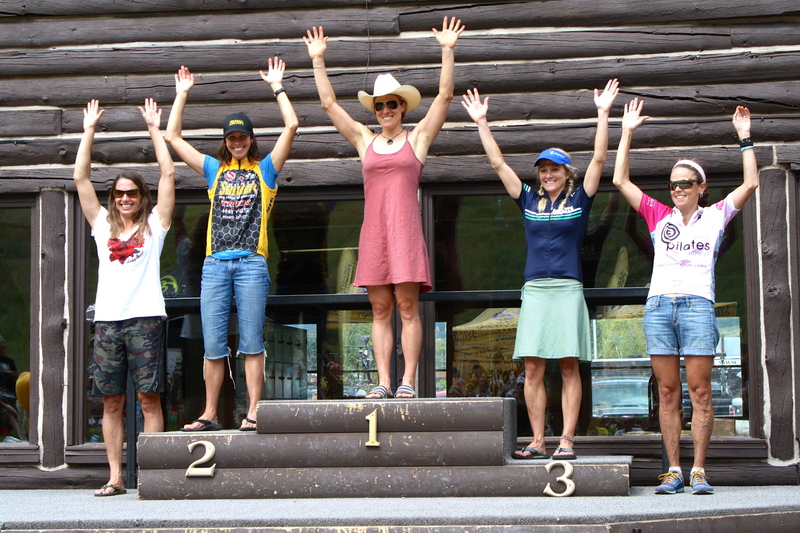 Sari is too modest to say it, but she’s had a really impressive string of victories so far this summer. 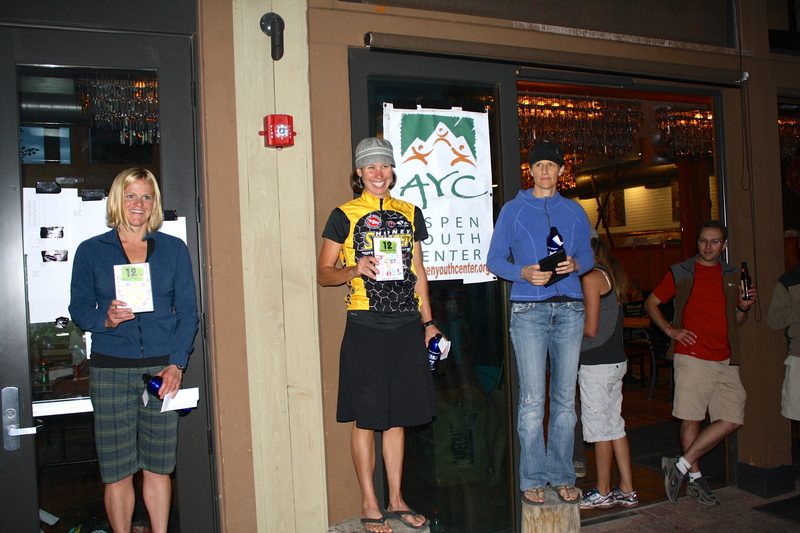 She’s stood on the top step of the podium at the Voodoo Fire, the Half Growler, the Teva Mountain Games Ultimate Mountain Challenge and the Bailey Hundo. 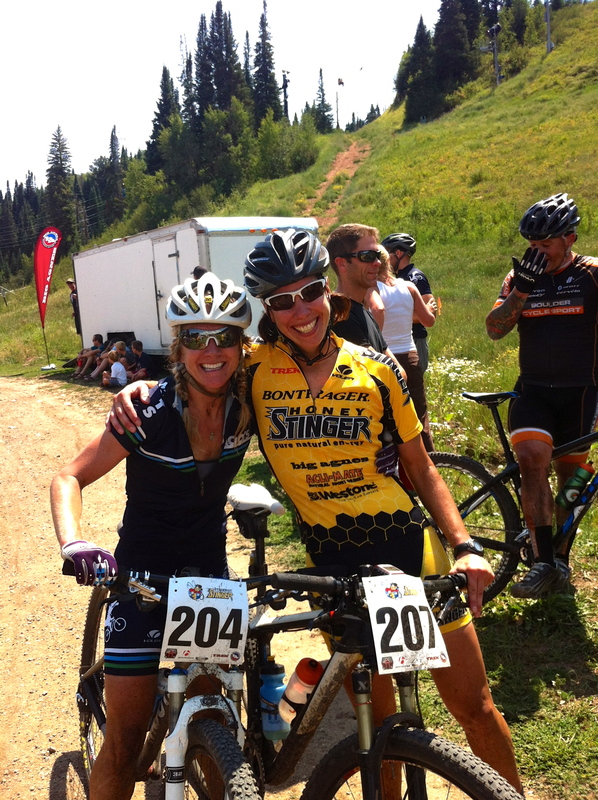 So for me, waiting at the start line of Firecracker 50, with Sari as my co-ed duo teammate, I felt more than a little pressure to keep her winning streak alive. 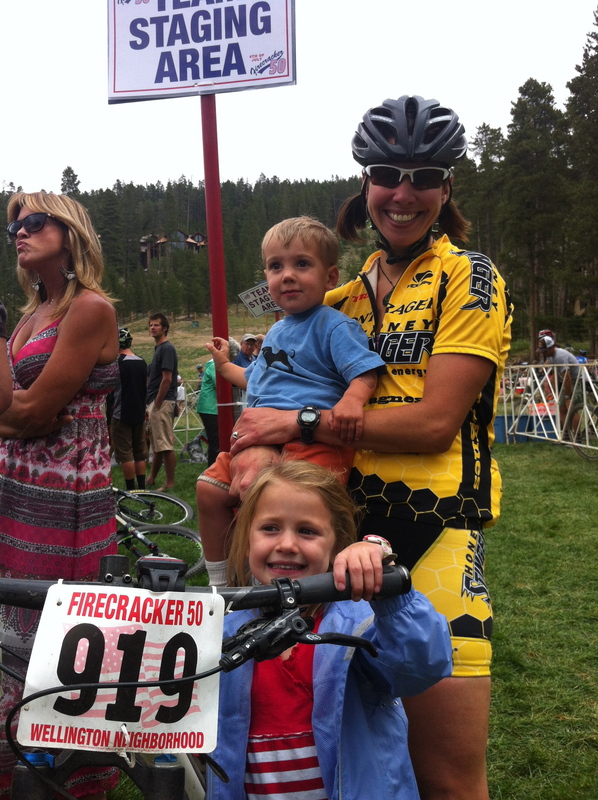 For the two lap race we decided that I would go first, so Sari and the kids cheered on the sidelines as I joined 700+ racers leading out the annual Breckenridge 4th of July parade. There were 50 other teams in our division and the pace from the start was fast. 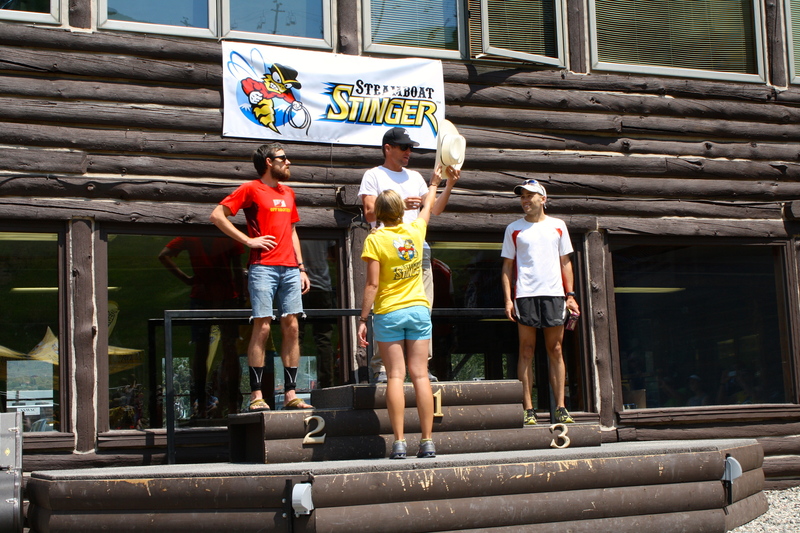 There was no way I could hold the wheel of guys like my Honey Stinger teammate Nate Bird, who was also racing on a co-ed team, so I just went as fast as I could. 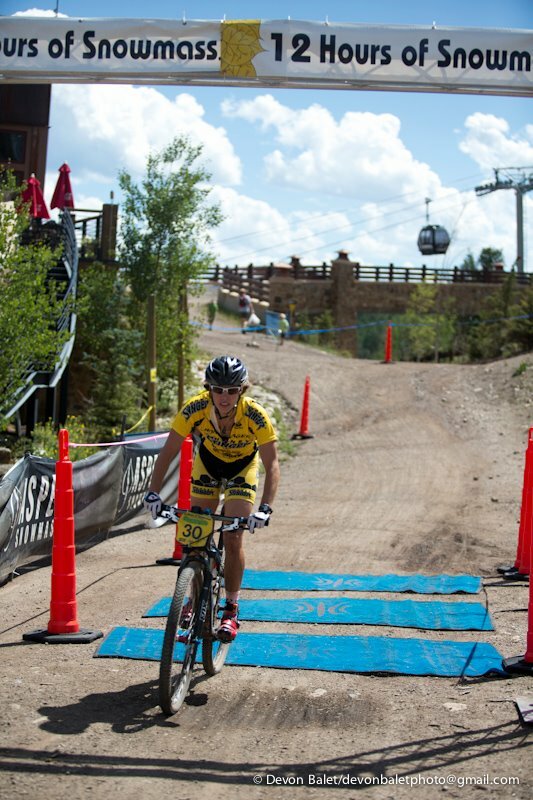 I got caught in some of the traffic that stacked up on the singletrack, but overall I had a clean lap, keeping the rubber side down and avoiding any flats or mechanicals. 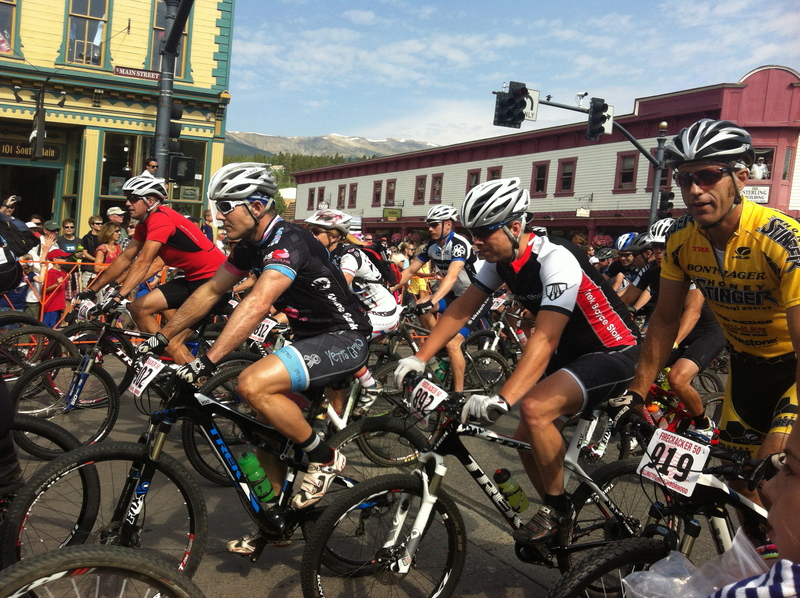 I came into the transition, tagged Sari, and apologized for losing time on the leaders. 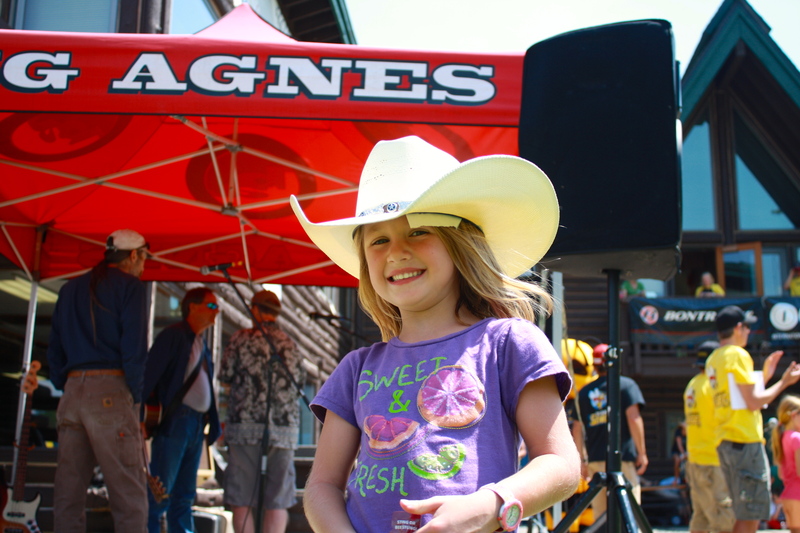 She said no problem and sprinted out of the corral chasing down a 7-minute gap to the first place co-ed team. 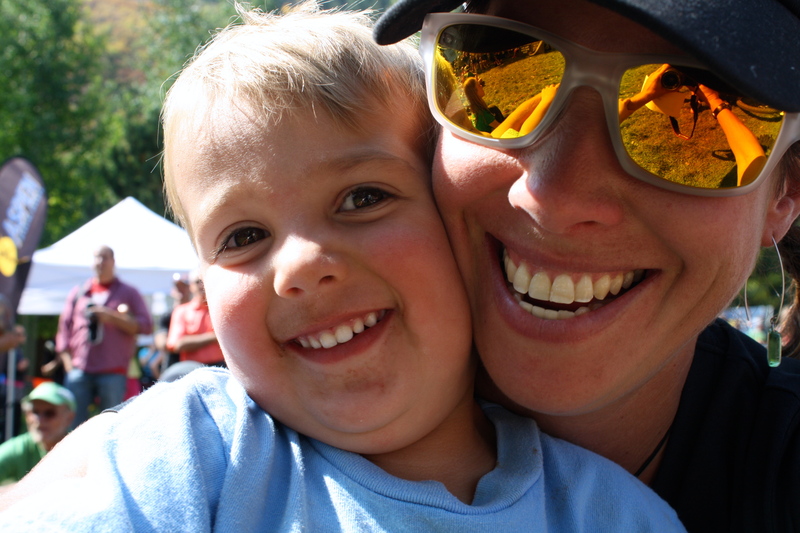 Of course, there was one minor detail she neglected to share with me as she left–where are our kids? Ok, so we’re a little new to this co-ed team thing. 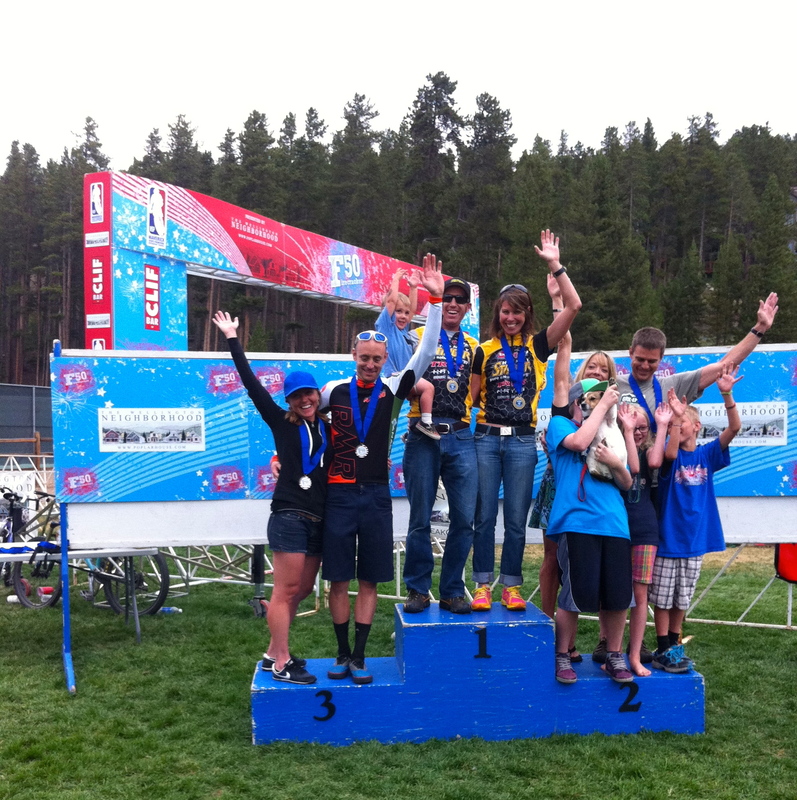 When I saw they were not at the transition area in Carter Park, I figured they were at our friend’s Mona’s house in Breck, where we spent the night. Sure enough, Amy Macy (Travis’ wife) was watching them and they were happy as clams. A dusty daddy, happy to be done. 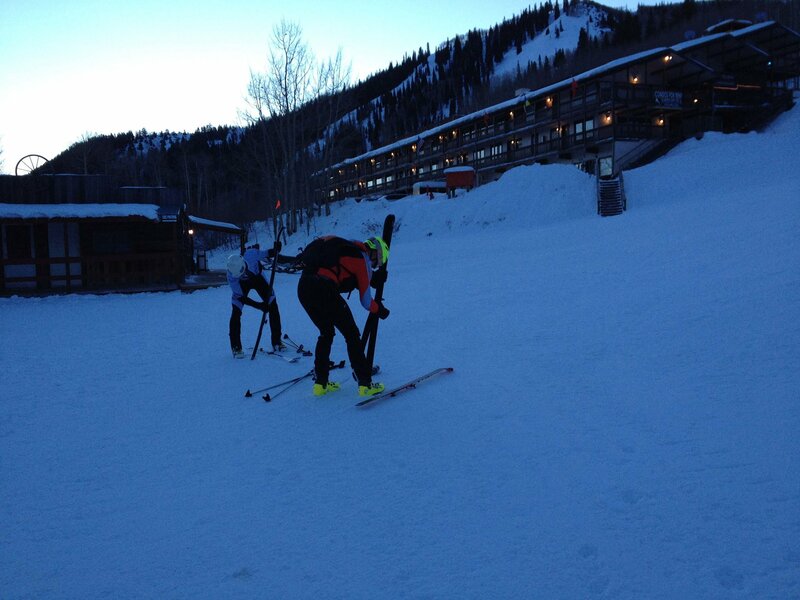 Sari, out on course, caught the leaders in short order. 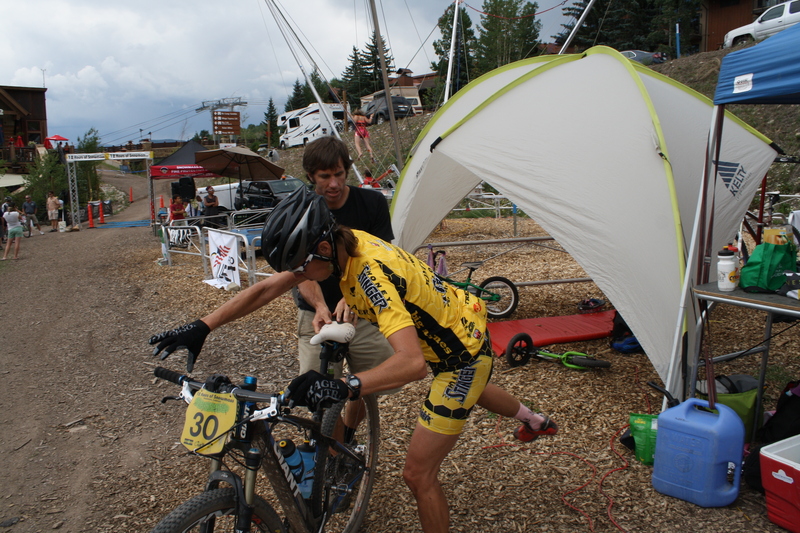 From there she, “had a pretty relaxing race” and even stopped to help a couple friends like teammate Wade Newsom who was dealing with multiple flats. Thanks to her speed, we won our division by over 10 minutes. 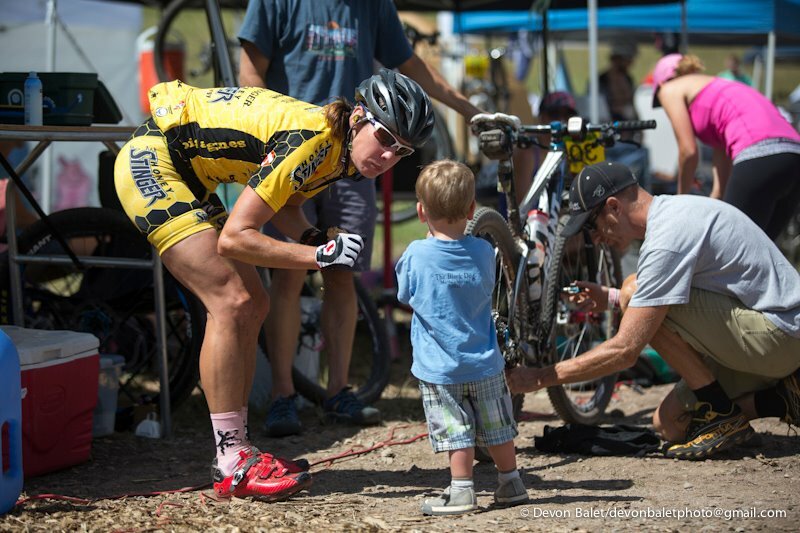 Of course, there was a part of me that wished Sari had raced in the pro women’s category. 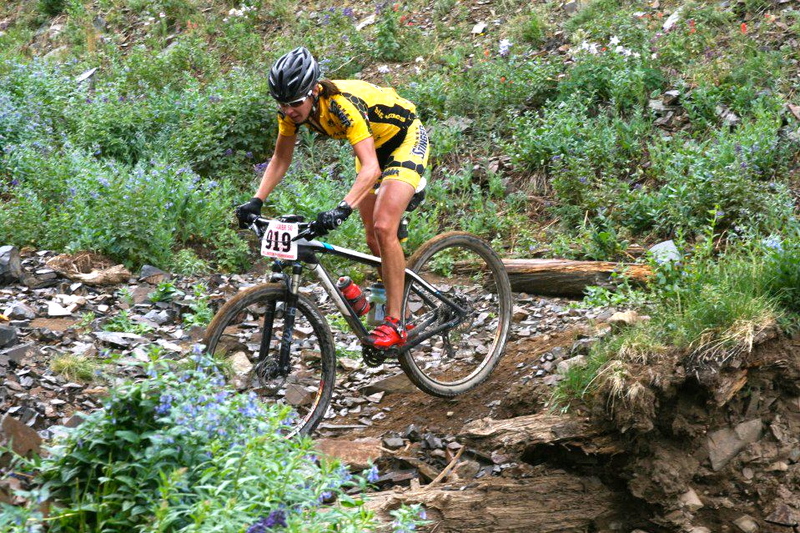 Gretchen Reeves had a great race and won for her third time this year–I think she and Sari would have had a great battle along with Kelly Boniface, who despite a double flat, held on to second place. 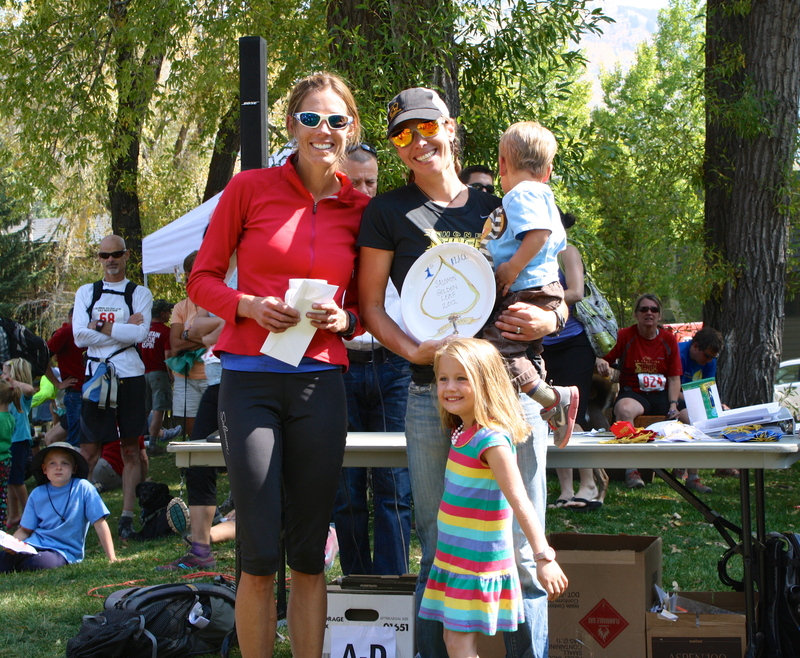 But, by racing as a team, we didn’t need to worry about a babysitter, we both got to compete in one of our favorite races, and best of all, I got to experience the rarefied air atop a podium alongside my wife. 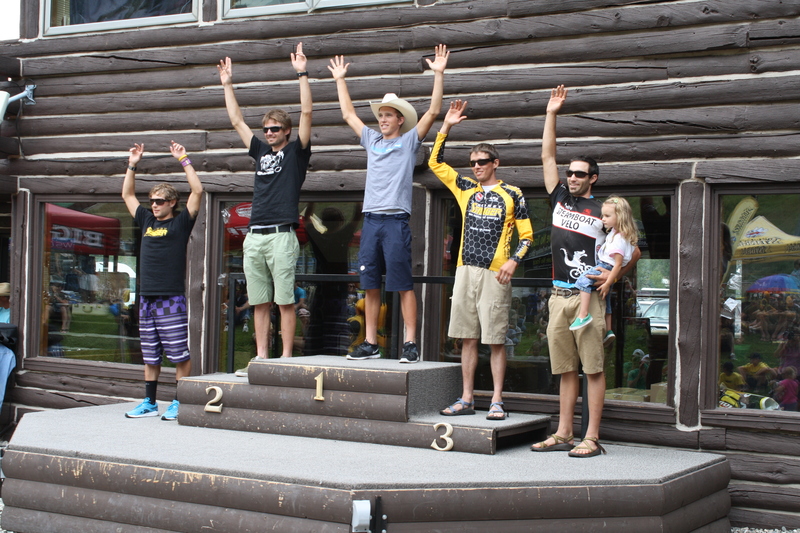 As you can see from the podium photo, they might as well call the co-ed division, the “family hand-off category.” Full race results are here. 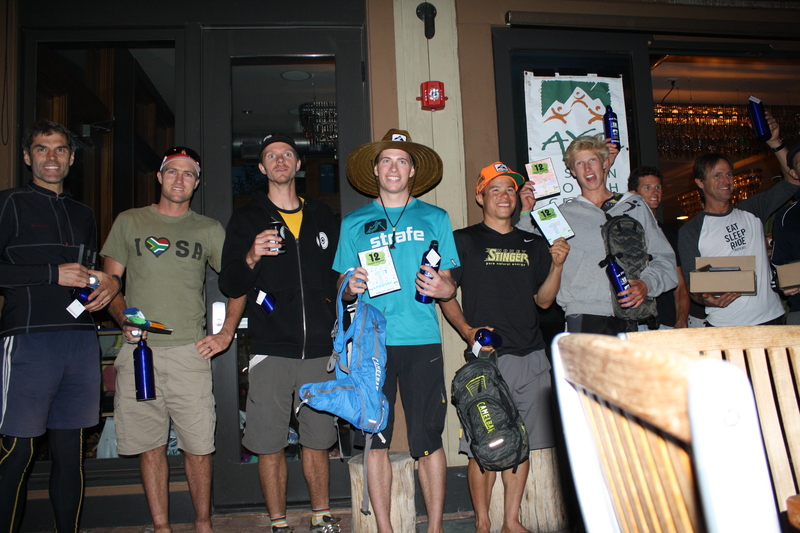 Congrats to Jay Henry for winning the pro men’s division, again. 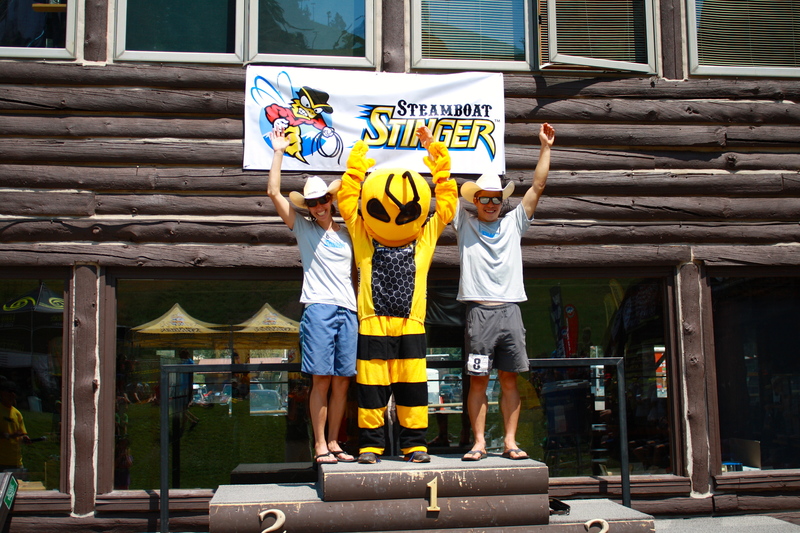 In just his second year as a pro, Pete Kalmes, another friend and Honey Stinger teammate from Steamboat, had a great race and finished in sixth place. 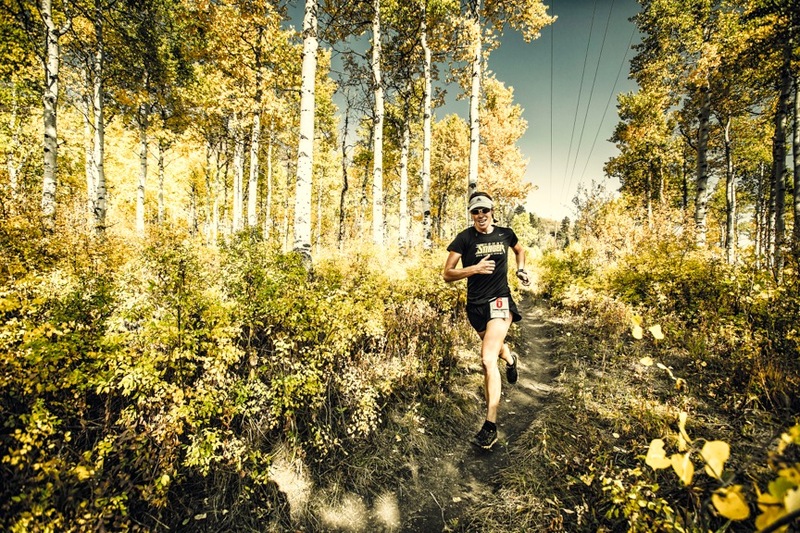 A big hats off to Jeff Westcott who once again organized an awesome race. 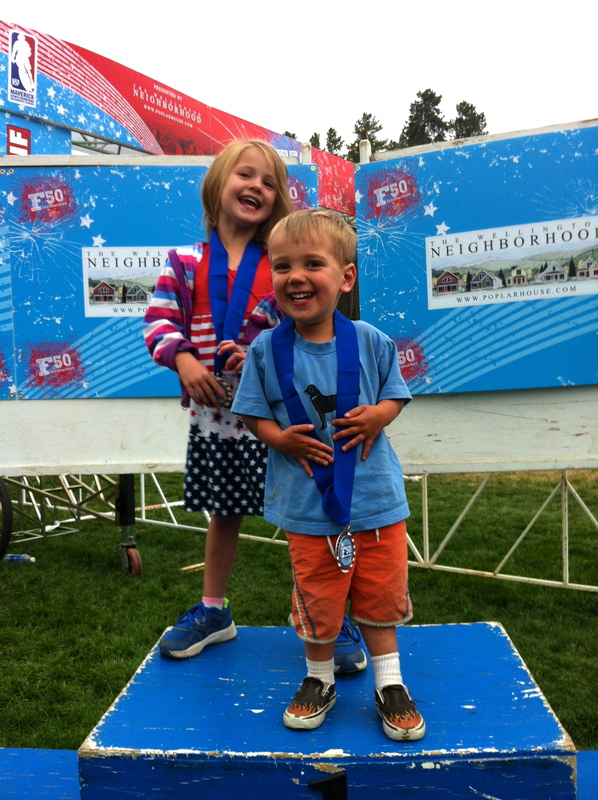 Oh and because I know some of you are wondering…who won the real race at the Firecracker? My Garmin read a lap time of 2:03, Sari’s said 2:05. So yeah, we’re pretty evenly matched. 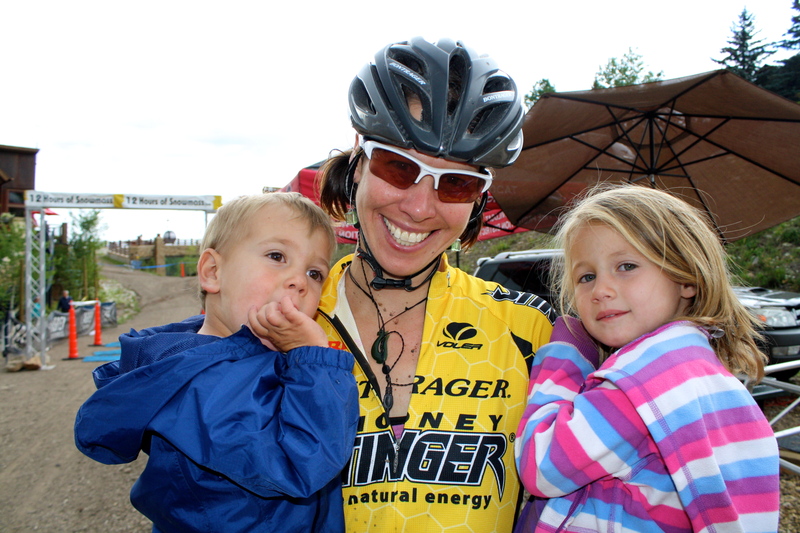 The new Honey Stinger organic gels are awesome. To be honest the original gels were too sticky and honey sweet for my palate, but I really like the new formula. I sucked one down before slogging up Little French Gulch and it saved me. 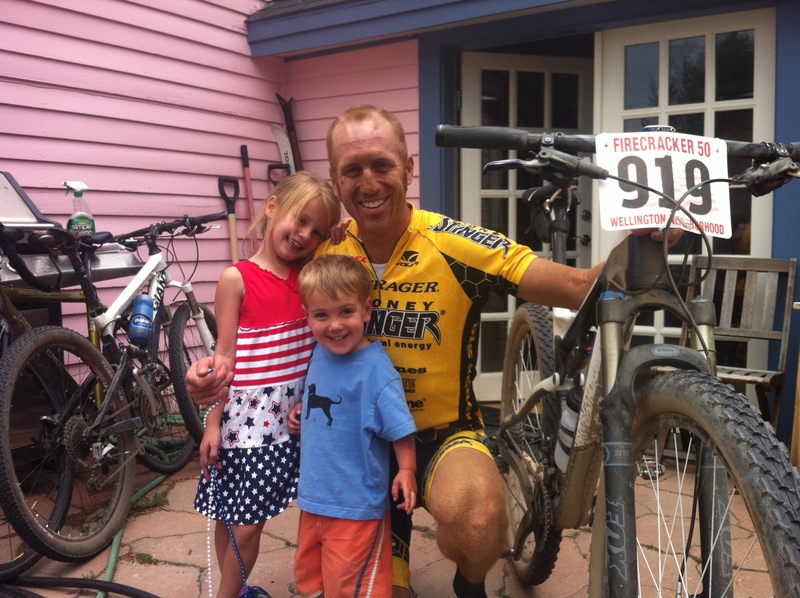 Also, both Sari and I tried some new Bontrager tires for this race. 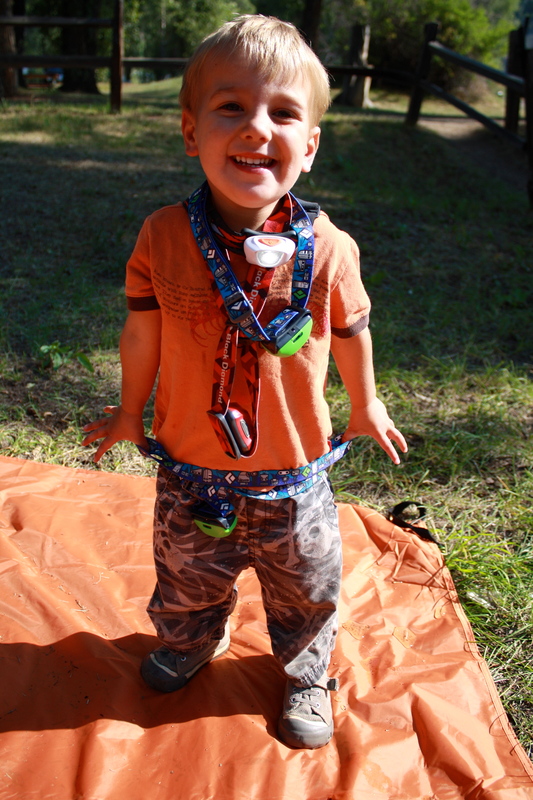 I used the 29-3 in a 2.25″ and Sari tried the 29-1 in a 2.2″. We compared notes at the end of the race and both agreed we liked the new rubber. 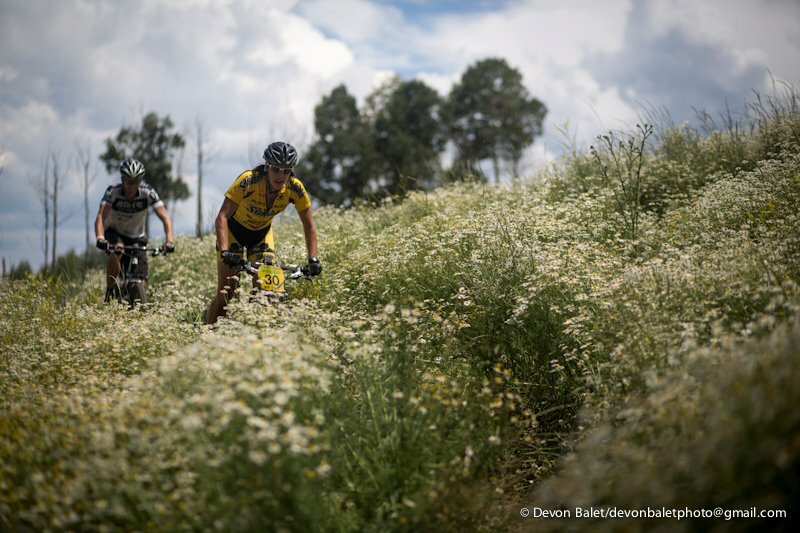 In my opinion, like so many things on a mountain bike, a good tire is one you don’t have to think about–it does its job and sticks to the dirt. The Bontrager sneakers did not disappoint.